They should be getting dirty counting frogs in ponds! They shouldn’t count frogs on pages.They should be getting dirty counting frogs in ponds. I’m sharing Monique Dois’ impassioned and articulate letter because she presents such wonderfully clear reasons why this testing mania is inappropriate and misguided. I hope that this is a letter that will go viral on the internet to support a movement that lobbies for a return to appropriate instructional practices in early childhood grades! It appears that I have to take some time out of my day to explain to you why my just-turned-five-year-old son shouldn’t be taking your standardized bubble tests as a “Measure of Student Learning” (MOSL) in Kindergarten. I would think that the last sentence that I wrote would stand on it’s own and that I wouldn’t need to elaborate the point any further. (“Kindergarten” and “standardized bubble test” just appeared in the same sentence, in case you missed it.) Unfortunately, it seems that all of the research in best early childhood practices has been thrown out the window in the interest of what you call reform. I was thinking of writing to you about all of the ways that this kind of testing is inappropriate for 4 and 5 year-old children. For example, I was thinking about how kids in this age range can’t sit still. Or how young kids have the tendency to cry and run away from being forced to do stupid stuff. I was also imagining how my son is much more likely to make an elaborate pattern on your bubble sheet than fill in “right answers.” (And this would be a much better use of his time and mathematical energies, actually.) I was also tearing up thinking about how the wonderfully empathetic minds of young children don’t understand what “cheating” is. I wanted to communicate how painful it is to me as a parent and educator to think about kids trying to help each other on the test, only to be told by their powerless teacher that that is not allowed. So, I guess what I am saying Commissioner King, is that it crossed my mind to address you on all of the ways that this kind of testing will further degrade kindergarten. But then I remembered hearing that your children go to a Montessori school. And I got angry. Why? Not because I don’t think your children deserve an active, hands-on, developmentally appropriate, loving, playful, and artful experience in school. But I think all children do. Stop bubble testing our babies! Commissioner King, you can’t measure student learning in Kindergarten using a pencil and paper bubble test. I’ll give you one example. On one of these Measures of Student Learning (MOSL) you ask children to select the illustration that shows 13 frogs. Something that seems so simple as being able to count thirteen is not really that simple at all. Let me explain. While children are learning to count they show a number of behaviors in the process of counting actual objects that are not captured on this test. For example, if you give my son 13 buttons and ask him to count them, this is what will happen: First he will get a mischievous grin and say “A lot! So many I can hardly count!” This will tell you that he will probably have to work hard counting numbers in this range (it’s funny how kids will tell you what they need, if you listen). Then he will start counting. He starts by moving the buttons into a line, which shows us that he has some understanding that he needs to keep track of his counting. Then as he gets to 9 he will stop moving them and start just touching them where they are. This tells me that at 9 he has to start working hard to remember the counting sequence and starts attending more to that and less to keeping track. He may loose his one-to-one correspondence as he focuses his effort on the counting sequence and just hover his fingers over buttons as he chants the numbers. If I ask him to do it again, he may line up all of the buttons and accurately count them all, because the first time he tried got him warmed up for the task. After he shows evidence that he grasps how to count 13, then I would ask him to give me 13 buttons from my collection. It is much more challenging to count out 13 buttons than to count a pile of 13 buttons. It requires my son to be really secure in his understanding of 13 because of different skills being juggled. The inconsistency of his counting 13 will tell us that my son is in the right range for his learning potential and I will look for lots of ways to give him 10-20 real life objects for him to count and manipulate in different contexts. We may call all of this practice in “composing and decomposing numbers to 20”. Though, as opposed to your seriously bewildering Engage NY modules, we don’t usually call it that when we are talking to 4 or 5 year-olds. Doing so doesn’t make our instruction more rigorous, it makes it more ridiculous. At this point, my son is likely to pick out and start talking about his favorite button and how it is so shiny and how he loves the sparkly, rainbow-y colors. This may seem off task to you, and you may be likely to have me redirect him. But an experienced Kindergarten teacher like my son’s teacher would encourage him to play with the buttons. She would observe what he does, take his lead, help give him language for his play as he sorts the buttons by color, size, number of holes, “sparkliness” and so on. Play is serious work in Kindergarten. This understanding of the development of number sense in young children is completely lost on your tests. Your system is so riddled in so-called “high standards”, and a can’t-reach-the-ever-moving-bar deficit model of education, that you have completely lost track of what makes for good teaching. I know that my child’s Kindergarten teacher is much better equipped to assess my kid’s counting than your multiple choice questions. I am outraged by the very notion that you will assess her as a teacher using the completely unreliable “data” mined from these MOSL bubble tests. Early childhood teachers are unfortunately used to being degraded, undervalued and our work rendered invisible. But enough is enough. We have to draw the line with tests that are an insult to our professional as well as common sense. Making teachers use an inappropriate assessment that is tied to their very survival as a teacher, will encourage them to do inappropriate things to kids. Tests that require kids to count frogs on pages will only encourage teachers to have kindergarteners count lots of frogs on lots of pages. Kindergarteners should be given meaningful opportunities to solve real life number problems, build nature collections, make beautiful patterns with buttons, describe objects and live and learn what it feels like to hold numbers of objects in their tiny, precious hands. They shouldn’t count frogs on pages.They should be getting dirty counting frogs in ponds. Thanks for listening, Commissioner King. I know that you are working on your ability to hear criticism. I appreciate you sticking with me through all of this. I know it required a considerable attention span. Luckily unlike my 5 year old you do have the capacity for such attention, even if you don’t regularly practice using it while listening to teachers and parents. Practice makes perfect! P.S. You know Froebel, right? He’s the guy that like, totally inspired Kindergarten and Montessori. Before he came along people used to think that play in early childhood was a frivolous waste of time. I know, crazy right!? What were they thinking? 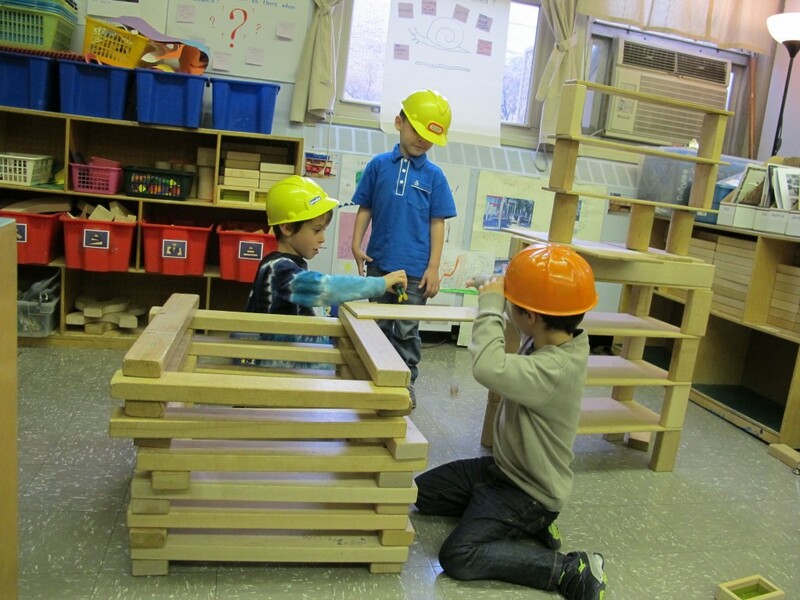 This entry was posted in Investigating Choice Time: Inquiry, Exploration, and Play on October 21, 2013 by Renee. The Education Town Hall, a weekly radio show on We Act Radio based in Washington DC, has been discussing testing and related issues, as well as the importance of early childhood and play. We extend an invitation to Renee Dinnerstein, Monique Dols and other parents, teachers, advocates, community members interested in furthering this discussion on air. Please contact show host, Thomas Byrd, thomas.byrd at yahoo.com, or me (feature reporter, Virginia Spatz, vspatz at pobox.com). Read about our show at WeActEd.wordpress.com and join the discussion via blog or on-air discussion… meanwhile thanks for publishing this powerful letter. What a fantastic, impassioned letter. I totally agree. I am a Montessori KG teacher and mother of two (7 & almost 5 years). They both attend a Montessori school in Jordan, a country which doesn’t understand the real needs of children in education. Today I had the joy and priviledge of introducing my almost 5 year old son to addition using two small sets of number rods (sticks of different lengths depending on size to show children the difference in the sizes of numbers). He was able to see for himself that when you put two numbers together they are the same as another. When 3 is added to 7 it is the same size as 10 for example. He found it so exciting to experiment with the rods to discover the many different ways of making ten. I showed him how to write out the sums on paper, but first he wrote them out in concrete. The three rod, with a moveable, tangible plus sign, then the seven rod and a moveable, tangible equals sign then the ten rod, which he had seen is the same as three and seven together. He loved to work with this. He was, and is motivated to learn and discover more because he, and his learning process are treated with respect. If he were forced to do a standardised test, I am sure his motivation would be depleted. He would see his failings, his mistakes would be blatant. He wouldn’t have someone there to support him when he finds something difficult. It would actually deflate much of that desire in him to learn more because there’s no opportunity to make a mistake and try again. You can’t try again! To be honest if you sat him in a test environment with a test paper and pencil, I’m not sure he would even begin to try and count those frogs! It is so sad, to say the least, what is happening with ‘education’. Things can only get better. I’m glad that there’s parents like you who realize the importance of getting involved to make things better. Keep in the administration’s face about the importance of developmentally appropriate educational practices. The teachers are probably afraid to “buck the system” because it might put their jobs on the line. You need to keep yourself informed, read about education so you will be armed with “amunition” and keep speaking out. Your three lovely children are lucky to have you for a parent. Keep in touch and let me know how things are going. I love hearing from you.